What you choose to eat, drink and even think has a direct effect on your body chemistry, for better or for worse. But with so much conflicting information around food, who can you trust? And how do you put healthy eating into practice? 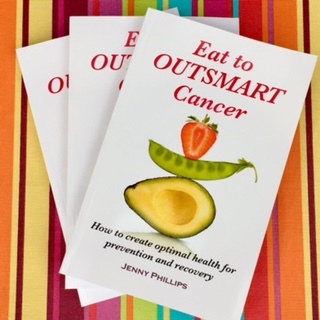 I’ve written Eat to OUTSMART Cancer to give you those answers. As a Qualified Nutritionist and ex-cancer patient, I show you how to create your own good health. One bite at a time. Can’t cook or short on time? No problem! You’ll be inspired to makes changes that are easy, fast and fabulous.